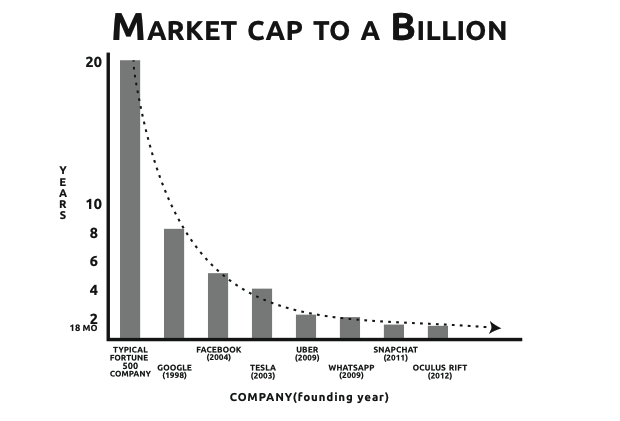 In our Design to Disrupt research program we talked about companies that are called Unicorns: a company that rapidly gains to a valuation of a billion-dollars and beyond. We also mentioned this book, written by Mike Malone, Yuri van Geest and Salim Ismail, that been explores, as well as crafts a guide to building Unicorns. 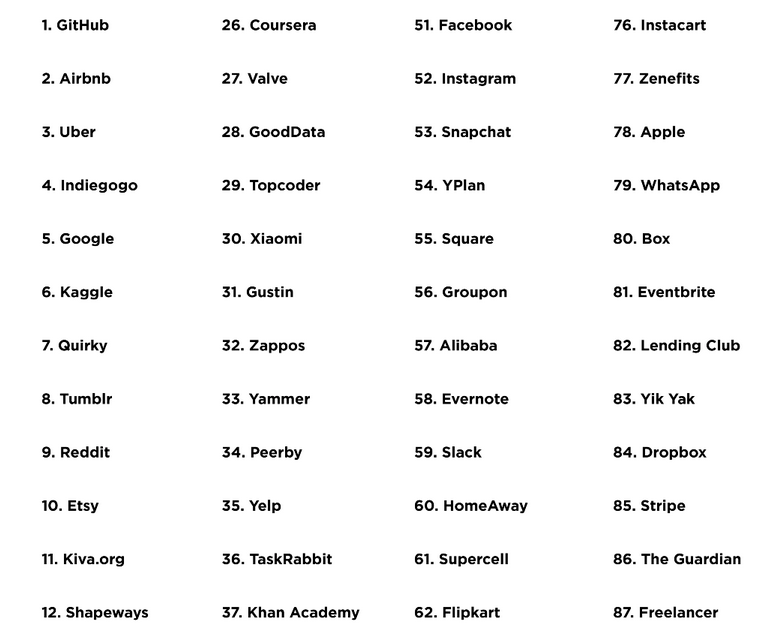 The book refers to these companies as Exponential Organizations (ExO), companies that are able to scale their organization structures in a completely new way. These companies achieve new scalability by pushing vital functions outside their core org structures, therefore dropping the cost of supply. 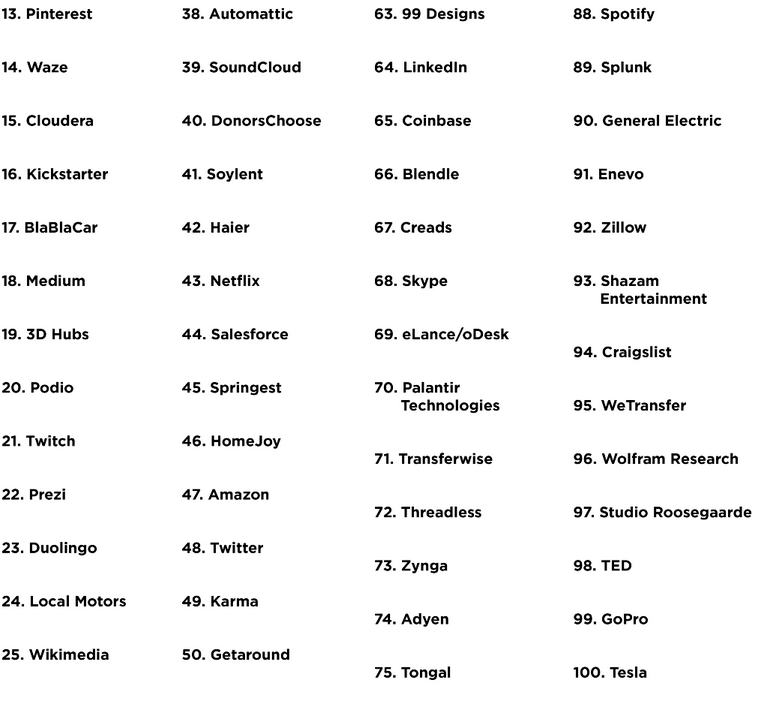 So to draw inspiration from or to provide you with a list of companies to analyze in order to become more scaleable yourself, here’s the top 100 of most scaleable companies in the world today.